This starting par five requires anyone thinking of reaching in the green in two undertake a risky tee shot played along the water's edge. This takes the trees guarding the transition from the first fairway to the second out of play and allows for a clean second. There is plenty of room to place a safe tee shot in the first fairway. Hole #1 requires anyone thinking of reaching in the green in two to undertake a risky tee shot played along the water's edge. This takes the trees guarding the transition from the first fairway to the second out of play and allows for a clean second shot. The green is elevated nearly 12 ft above the second fairway and framed beautifully against the rock retaining wall and bridge to #2. As narrow as 18 ft in portions the 56 ft of depth is greater than it appears while standing down below it. The elevated tee to this tricky par three requires you to assess the wind before hitting. Depending on how hard it is blowing, it can have a big impact on your shot. The tee box you selected for your round comes into play when you line up this tee shot. Whether taking aim from 110 or 180 yards, keep in mind that pars are difficult to achieve coming out of the deep bunker guarding the front of the green. This generous-sized green slopes back to front and left to right. Take your time lining up your putt as the subtle contours can elude a quick glance. 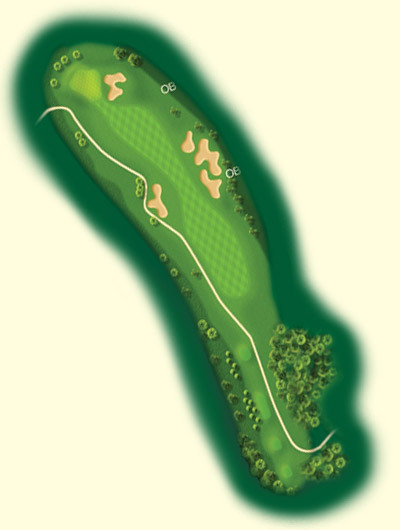 A shorter par four that rolls out downhill and favors a draw, this is a great birdie opportunity for most players. A safe lay up is certainly an option on this hole. Be sure to avoid the bunkers that shield the right side of the fairway. There is a decent size bunker left for those adventurous enough to attempt cutting the corner. While avoiding the bunker on the front right is important, it should be noted that anything long on this hole is in big trouble. The green is large and receptive sloping from back to front. Dial in the perfect wedge and start thinking birdie putt. 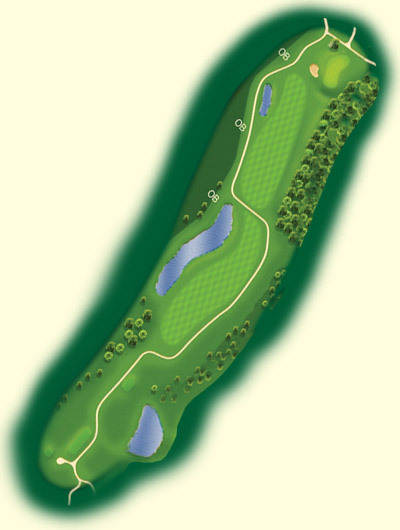 This hole is named after the large hazard area that lines the right side of this fairway. No need to visit that though, as there is plenty of the room in the fairway to the left. If you are playing the black tees you'll appreciate the beautiful view from back in this corner of the course. 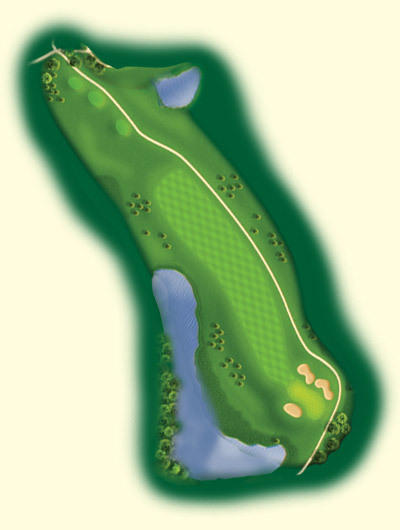 Lace one out in the middle as shots from the fairway are a premium on this longer par four. This massive green slopes back to front and has a deep pocket in the back right. With multiple tiers, putting from any distance can make scoring tough on this green. Whether it is the local duck and turtle population or members of your group, there is no doubt that many guests to the course find their way to the water on the right side of this classic risk/reward hole. A mid to long iron from the tee is a conservative shot that can yield a manageable second shot into a well guarded green. Otherwise, pull out your driver and see how much of the watering hole you choose to drink. This generous-sized green slopes back to front and is protected along the front left by a series of bunkers. With a range of contours, leaving the ball below the hole can be very rewarding. With the most narrow landing area on the course (15 yards), accuracy is critical on this difficult par four. Avoid the bunkers that populate the left side of the fairway on this challenging tee shot. The narrow landing area places a premium on accuracy. This generous-sized green slopes back to front. Take your time lining up your putt as there is a lot of character to this green. This shorter par four can be difficult. 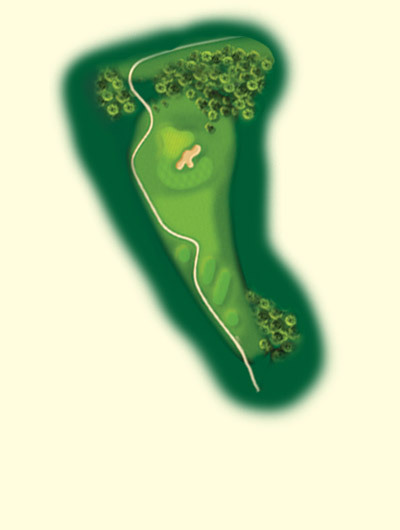 Up hill all the way, it will challenge your accuracy and ball-striking abilities. Once at the top and on the green, relax a moment and enjoy the breath-taking views of the south metro and Buck Hill in the distance. The fairway appears constrained from the tee but actually opens up a bit to the right beyond the trees. Be sure to hit your tee shot to a comfortable distance for your second as the green is very shallow from back to front and is tough to hold. After successfully placing your tee shot, your work has just begun. This shallow green is the smallest on the course, slopes from back to front and has a lot of character. When in doubt, remember that a majority of it breaks towards Buck Hill, often more so than it appears at first glance. After making the climb up the seventh hole, this short par three is a welcome break. Be sure to check the wind before selecting a club. The array of power lines and houses in the backdrop provide ample target options. 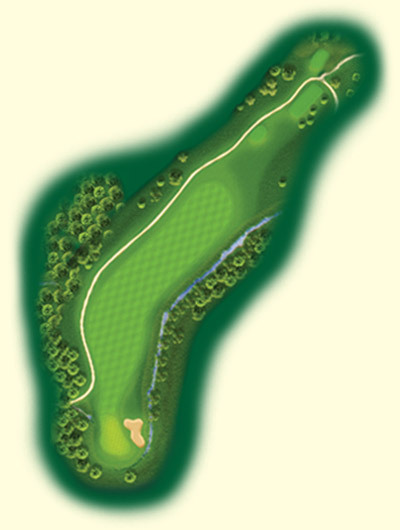 You may want to favor the middle of this large inviting green. Keep in mind that anything long is a very difficult up and down. With several tiers and a fair amount of break. You can find yourself with some very interesting putts on this adventuresome green. The front nine finishes off with a majestic par five. Stay focussed on the task at hand, even if those amazing smells from the clubhouse grill have you fantasizing about a burger at the turn. With a large landing area for most golfers a safe tee shot gets you off to a great start on this hole. Long ball hitters will need to consider the bunkers that choke out the fairway if they want to challenge this hole. 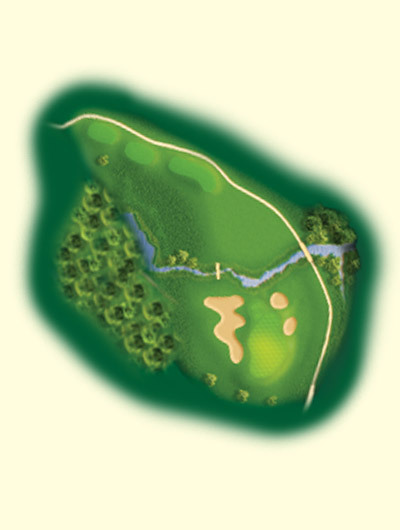 After navigating your way down the hill, consider your shots carefully as the water, bunkers and angle of approach into this green make finishing your front nine strong a real test. After completing the links style front nine that winds though picturesque neighborhoods, you'll notice a clear shift as you enter the back and a much more wooded landscape. In addition the increase in trees, you find more water on the back as well. 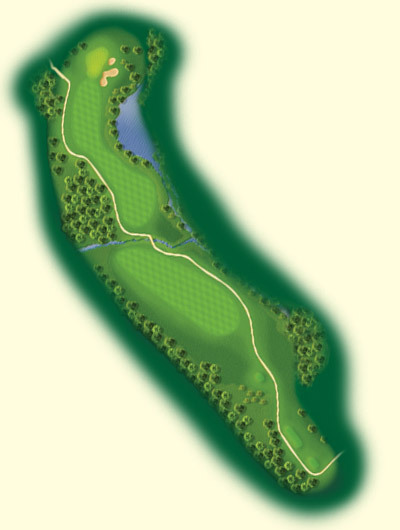 The pond on the right side of this generous fairway is fed by a stream that you will cross several times along the back nine. This green is much deeper than it is wide and slopes from back to front and right to left. Guarded on both sides by bunkers, placing your approach shot on the putting surface can be rewarding. This beautiful par four starts out with a relatively blind tee shot out over a span of marsh. 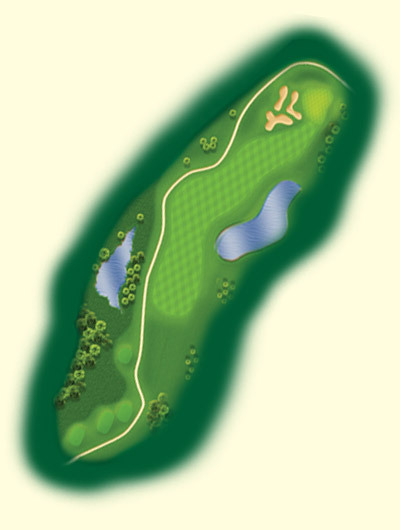 The fairway curves sharply left and the favored line is guarded by two massive bunkers. Unless you have a reliable draw with some distance, a modest layup is a wise choice affording you a manageable second around the corner and into the green. This large green slopes from back to front and tends to hold approach shots well. 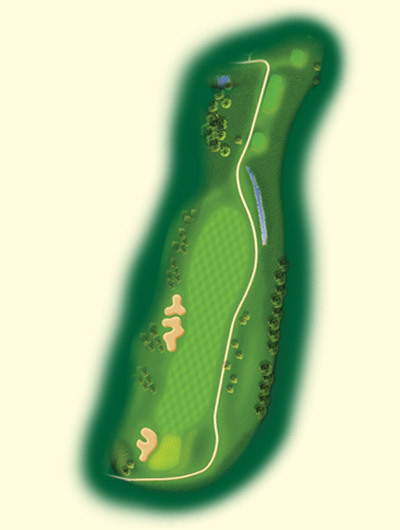 Line up your putt carefully and be prepared to take advantage of one of the most enjoyable holes on the course. 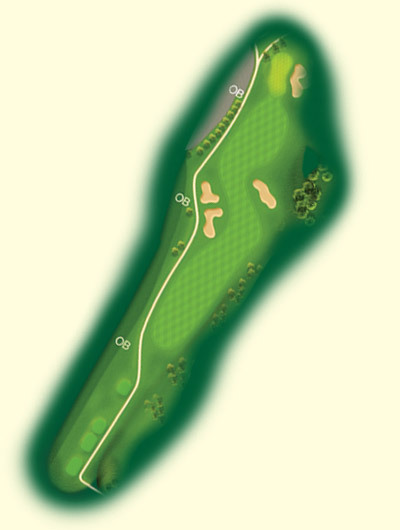 With almost 100 yards of variation in tee distances, your's isn't the only big swing on this challenging par three. 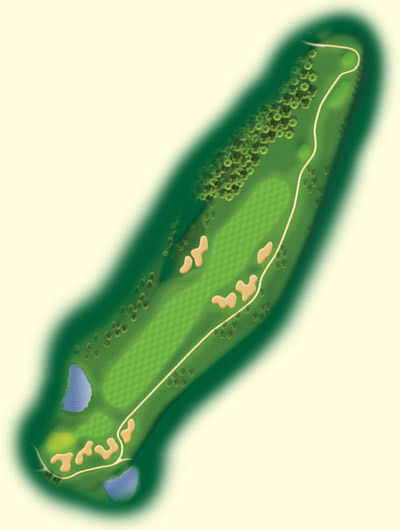 The pin position can vary widely on this large green. With the fingers of the massive green side bunker reaching for your shot, targeting the center of the green can bring great rewards. The putting surface slopes from back to front and right to left. The sheer size of this green may require you pace off your putt as looks can be deceiving. 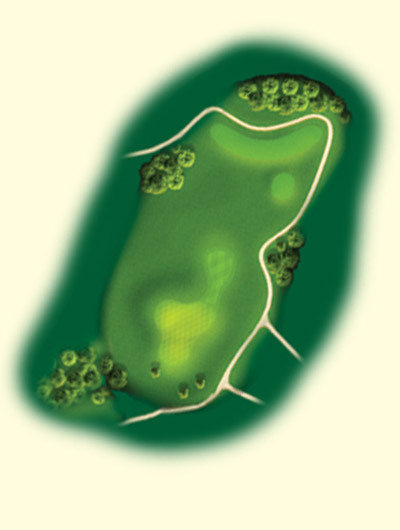 Our signature hole, this difficult par five favors precise shot placement over bombing your way home. Soak up the views as you wind your way through this gem. The fairway is crossed by a stream and requires big hitters to consider their club selection. It opens up a little on the left which affords you a better line for your second shot as well. After navigating the twists and turns this hole provides, finding yourself with a putter in your hand can be a relief. 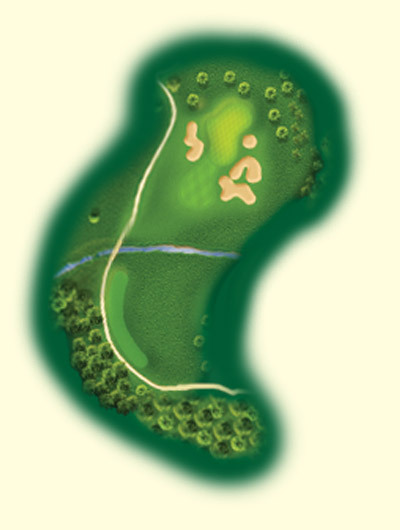 The green is rather deep and is protected by bunkers on the right side. 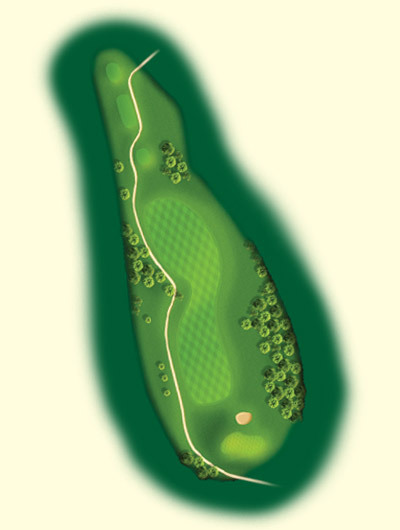 After completing hole #13 you will likely be happy to see a manageable par three awaiting your arrival. With a tee box tucked into the trees, be sure to pay attention to the flag as you figure the wind into your shot. The putting surface appears to be surrounded by bunkers for good reason. There are plenty to find and making up and down out of any is a challenge. Pick a target and swing confidently as finding the putting surface is critical for a good score here. This green slopes from back to front and has a variety of undulations that make finding the bottom of the cup an interesting pursuit. The back nine finishes with four par fours in a row that begin with this beauty. A gorgeous section of the course, it is also favored by local wildlife. Don't be offended if the deer don't rake after themselves in the green side bunkers. The fairway winds left and is guarded along that side by a creek. A decent tee shot down the right side allows for a nice angle into the pin. Shorter shots down the left may make it difficult to find the green in two. This 15th green has a lot of character and will test your ability to read putts. It slopes from back to front and has a large shoulder along the left side. Depending on your play, exiting the heavily wooded potion of our back nine may be a welcome sight. The clubhouse is in view as you catch your breath and tee it up on the 16th at Crystal Lake. There is a small marsh along the left side of the fairway. A small stream that winds its way across the fairway dangerously and has managed to gobble many a tee shot. A culvert provides the narrowest of runways to the second fairway for those lucky enough to find it. 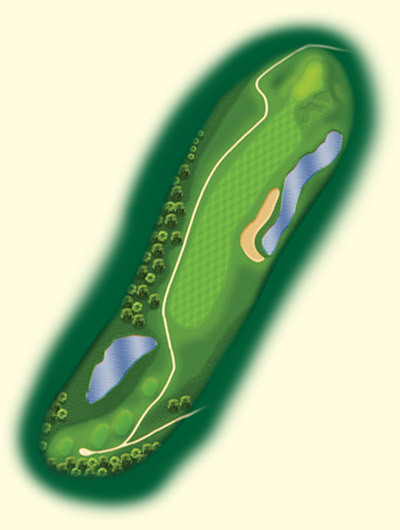 This bean shaped green is protected by two bunkers and has modest undulations that afford makable putts. The small collection area in the front left of the green has seen its fair share of second shots. Be sure to get something up on the surface in order to score well. 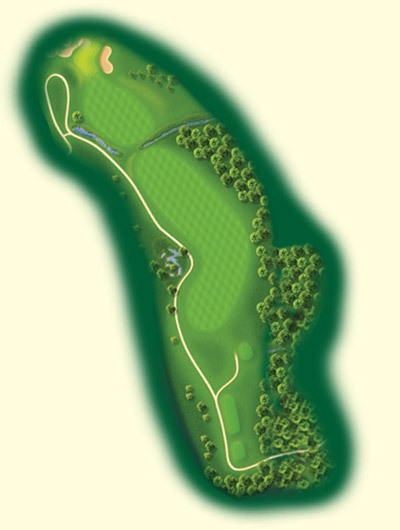 The 17th hole leads you uphill towards Ipava Ave and along one of our city's finest parks. Feel free to pretend that the cheering crowds taking in a soccer or softball game are actually regaling your magnificent tee shot. After winding your way through most of our back nine, this one is pretty straight forward. Lace one down the middle and prepare to line up your second. 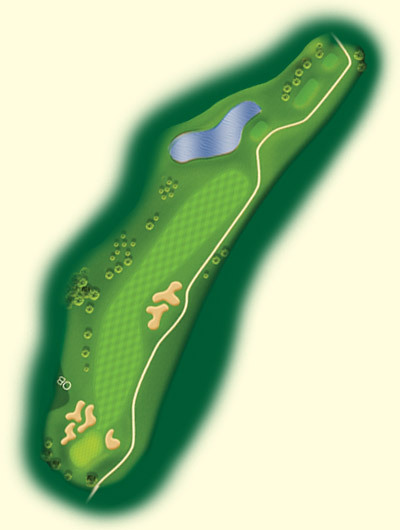 This is a large putting surface that slopes from back to front and is guarded by a large sand trap on the right side. The back tees at our finishing hole provide a great view of the charming neighborhood that makes Crystal Lake such a local treasure. The three fairway bunkers are very well placed and require length and accuracy if you want to finish your round with a driver. There is often a decent tail wind so the temptation to let one rip is often present. Depending on your tee shot, the 18th green can be difficult to find. It is also one of the toughest to read. With deceptive breaks and a variety of contours, be prepared to earn that winning score.